Definition at line 138 of file ntddk_ex.h. Definition at line 149 of file ntddk_ex.h. Referenced by DbgkCreateThread(), GetModuleEntryPoint(), LdrpFetchAddressOfEntryPoint(), main(), MiReloadBootLoadedDrivers(), MmLoadSystemImage(), pe_load_export_debug_info(), PeFmtCreateSection(), query_image_section(), SSI_DEF(), test_ExitProcess(), test_Loader(), test_NtQuerySection(), test_thread_start_address(), and WinLdrAllocateDataTableEntry(). Definition at line 297 of file ntimage.h. Definition at line 150 of file ntddk_ex.h. Referenced by build_exe(), main(), and RosSymCreateFromFile(). Definition at line 298 of file ntimage.h. Definition at line 151 of file ntddk_ex.h. Definition at line 299 of file ntimage.h. Definition at line 169 of file ntddk_ex.h. Referenced by _get_checksum_offset(), CheckSumMappedFile(), CreateOutputFile(), DbgLoadImageSymbols(), fetch_pe_module_info_cb(), ImageGetDigestStream(), IMAGEHLP_RecalculateChecksum(), ImgpLoadPEImage(), main(), MiLoadUserSymbols(), MmLoadSystemImage(), Notify(), pe_load_builtin_module(), query_image_section(), and WinLdrAllocateDataTableEntry(). Definition at line 312 of file ntimage.h. Definition at line 178 of file ntddk_ex.h. Referenced by __mingw_enum_import_library_names(), __RtlImageDirectoryEntryToData(), build_exe(), check_exe(), check_managed_app(), check_pe_exe(), CreateOutputFile(), hook_WaitForInputIdle(), ImageDirectoryEntryToDataEx(), ImageDirectoryOffset(), IMAGEHLP_GetSecurityDirOffset(), IMAGEHLP_SetSecurityDirOffset(), InitializeTestImage(), IntVideoPortImageDirectoryEntryToData(), LdrpSnapIAT(), LdrRelocateImageWithBias(), main(), parse_pe_header(), pe_load_msc_debug_info(), pe_map_directory(), ProcessRelocations(), query_image_section(), RtlImageDirectoryEntryToData(), SOFTPUB_HashPEFile(), START_TEST(), test_import_resolution(), test_ImportDescriptors(), test_Loader(), test_ResolveDelayLoadedAPI(), and write_raw_resources(). Definition at line 171 of file ntddk_ex.h. Referenced by ImgpLoadPEImage(), PeFmtCreateSection(), query_image_section(), test_filenames(), test_Loader(), and test_NtQuerySection(). Definition at line 314 of file ntimage.h. Definition at line 159 of file ntddk_ex.h. Referenced by build_exe(), create_fake_dll(), CreateOutputFile(), MmCheckFreeldrImageFile(), PeFmtCreateSection(), test_ExitProcess(), test_filenames(), test_import_resolution(), test_Loader(), test_ResolveDelayLoadedAPI(), test_section_access(), and write_raw_resources(). Definition at line 302 of file ntimage.h. Definition at line 157 of file ntddk_ex.h. Referenced by build_exe(), create_fake_dll(), DbgkCreateThread(), FrLdrMapModule(), get_ImageBase(), get_sectionheader(), GetImageBase(), ImgpLoadPEImage(), InitializeTestImage(), LdrpInitializeProcess(), LdrpMapDll(), LdrRelocateImageWithBias(), LoadBootDeviceDriver(), main(), MiReloadBootLoadedDrivers(), MmCheckFreeldrImageFile(), PeFmtCreateSection(), process_data(), query_image_section(), RosSymCreateFromFile(), RosSymCreateFromMem(), test_import_resolution(), test_Loader(), test_NtQuerySection(), test_ResolveDelayLoadedAPI(), and WinLdrLoadImage(). Definition at line 300 of file ntimage.h. Definition at line 176 of file ntddk_ex.h. Definition at line 319 of file ntimage.h. Definition at line 143 of file ntddk_ex.h. Referenced by _get_checksum_offset(), _ValidateImageBase(), BindImageEx(), build_exe(), check_managed_app(), check_pe_exe(), CheckSumMappedFile(), create_fake_dll(), get_ImageBase(), IMAGEHLP_GetNTHeaders(), InitializeTestImage(), map_image_section(), MmCheckFreeldrImageFile(), MmCheckSystemImage(), pe_map_file(), PeFmtCreateSection(), query_image_section(), SOFTPUB_HashPEFile(), test_Loader(), and write_raw_resources(). Definition at line 291 of file ntimage.h. Definition at line 162 of file ntddk_ex.h. Referenced by build_exe(), create_fake_dll(), MmLoadSystemImage(), and test_Loader(). Definition at line 305 of file ntimage.h. Definition at line 144 of file ntddk_ex.h. Referenced by build_exe(), create_fake_dll(), ImgpLoadPEImage(), and test_Loader(). Definition at line 292 of file ntimage.h. Definition at line 160 of file ntddk_ex.h. Referenced by build_exe(), create_fake_dll(), MiWriteProtectSystemImage(), MmLoadSystemImage(), and test_Loader(). Definition at line 303 of file ntimage.h. Definition at line 164 of file ntddk_ex.h. Referenced by build_exe(), create_fake_dll(), GetProcessVersion(), LdrpInitializeProcess(), LdrpMapDll(), MiWriteProtectSystemImage(), MmCreatePeb(), PeFmtCreateSection(), query_image_section(), shgfi_get_exe_type(), test_Loader(), and test_NtQuerySection(). Definition at line 307 of file ntimage.h. Definition at line 163 of file ntddk_ex.h. Definition at line 306 of file ntimage.h. Definition at line 145 of file ntddk_ex.h. Definition at line 293 of file ntimage.h. Definition at line 161 of file ntddk_ex.h. Definition at line 304 of file ntimage.h. Definition at line 165 of file ntddk_ex.h. Referenced by create_fake_dll(), GetProcessVersion(), LdrpInitializeProcess(), MmCreatePeb(), PeFmtCreateSection(), query_image_section(), shgfi_get_exe_type(), and test_NtQuerySection(). Definition at line 308 of file ntimage.h. Definition at line 177 of file ntddk_ex.h. Referenced by __RtlImageDirectoryEntryToData(), check_managed_app(), create_fake_dll(), CreateOutputFile(), ImageDirectoryEntryToDataEx(), ImageDirectoryOffset(), IntVideoPortImageDirectoryEntryToData(), MiReloadBootLoadedDrivers(), ProcessRelocations(), RtlImageDirectoryEntryToData(), test_import_resolution(), test_Loader(), test_ResolveDelayLoadedAPI(), and write_raw_resources(). Definition at line 320 of file ntimage.h. Definition at line 121 of file pefixup.c. Definition at line 158 of file ntddk_ex.h. Referenced by build_exe(), create_fake_dll(), create_test_dll(), CreateOutputFile(), FrLdrMapModule(), main(), MiEnablePagingOfDriver(), MiFindInitializationCode(), MmCheckFreeldrImageFile(), PeFmtCreateSection(), query_image_section(), test_ExitProcess(), test_filenames(), test_import_resolution(), test_Loader(), test_ResolveDelayLoadedAPI(), test_section_access(), and write_raw_resources(). Definition at line 301 of file ntimage.h. Definition at line 146 of file ntddk_ex.h. Referenced by PeFmtCreateSection(), query_image_section(), and test_Loader(). Definition at line 294 of file ntimage.h. Definition at line 168 of file ntddk_ex.h. Referenced by __RtlImageDirectoryEntryToData(), build_exe(), create_fake_dll(), create_test_dll(), ImgpLoadPEImage(), InitializeTestImage(), PeFmtCreateSection(), RtlImageDirectoryEntryToData(), test_ExitProcess(), test_filenames(), test_import_resolution(), test_Loader(), test_ResolveDelayLoadedAPI(), test_section_access(), and WinLdrLoadImage(). Definition at line 311 of file ntimage.h. Definition at line 175 of file ntddk_ex.h. Definition at line 318 of file ntimage.h. Definition at line 174 of file ntddk_ex.h. Definition at line 317 of file ntimage.h. Definition at line 167 of file ntddk_ex.h. 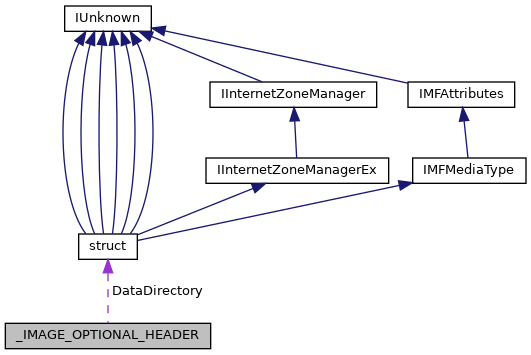 Referenced by build_exe(), check_address(), create_fake_dll(), CreateOutputFile(), DbgkCreateThread(), DbgLoadImageSymbols(), FrLdrMapModule(), ImageGetDigestStream(), ImgpInitializeBootApplicationParameters(), ImgpLoadPEImage(), InitializeTestImage(), LdrFindEntryForAddress(), LdrpAllocateDataTableEntry(), LdrpCheckForLoadedDll(), main(), MiLoadUserSymbols(), MiWriteProtectSystemImage(), MmCheckFreeldrImageFile(), module_find_cb(), pe_load_builtin_module(), PeFmtCreateSection(), query_image_section(), RosSymCreateFromFile(), RosSymCreateFromMem(), SSI_DEF(), test_ExitProcess(), test_filenames(), test_import_resolution(), test_Loader(), test_NtQuerySection(), test_ResolveDelayLoadedAPI(), test_section_access(), WinLdrAllocateDataTableEntry(), WinLdrLoadImage(), and write_raw_resources(). Definition at line 310 of file ntimage.h. Definition at line 147 of file ntddk_ex.h. Referenced by ImageGetDigestStream(), and write_raw_resources(). Definition at line 295 of file ntimage.h. Definition at line 173 of file ntddk_ex.h. Referenced by BaseCreateStack(), CallPerInstanceInitFunctions(), PeFmtCreateSection(), query_image_section(), test_Loader(), and test_NtQuerySection(). Definition at line 316 of file ntimage.h. Definition at line 172 of file ntddk_ex.h. Referenced by BaseCreateStack(), PeFmtCreateSection(), query_image_section(), test_Loader(), and test_NtQuerySection(). Definition at line 315 of file ntimage.h. Definition at line 148 of file ntddk_ex.h. Definition at line 296 of file ntimage.h. Definition at line 170 of file ntddk_ex.h. Referenced by build_exe(), create_fake_dll(), CreateProcessInternalW(), CsrClientConnectToServer(), ImgpLoadPEImage(), IsConsoleApp(), LdrpInitializeProcess(), MmCheckFreeldrImageFile(), MmCreatePeb(), PeFmtCreateSection(), query_image_section(), shgfi_get_exe_type(), test_Loader(), test_NtQuerySection(), and test_WaitForInputIdle(). Definition at line 313 of file ntimage.h. Definition at line 166 of file ntddk_ex.h. Definition at line 309 of file ntimage.h.